O conceito de direitos humanos: ortodoxo ou político? Resumo: O que são os direitos humanos? O que os tornam distintos de outras considerações morais, jurídicas e políticas? Neste artigo, os autores trazem uma revisão de literatura dessa questão conceitual a partir da recém-formada dicotomia na academia internacional entre concepções ortodoxas e políticas de direitos humanos. Segundo a primeira, direitos humanos são direitos morais possuídos por todos os seres humanos tão somente em virtude de sua humanidade. Para a segunda, eles são normas cuja natureza deve ser investigada à luz das funções que desempenham na ordem jurídico-política internacional. O texto se encontra disposto da seguinte forma: as partes 1 e 2 apresentam duas formulações influentes de cada uma das propostas, respectivamente, às de James Griffin e John Tasioulas, e Charles Beitz e Joseph Raz. A parte 3, por sua vez, trata do debate entre elas, mais especificamente, das críticas dirigidas uma a outra, além do mérito das ditas concepções mistas ou conciliatórias. Palavras-chave: Direitos humanos. Conceito. Concepção ortodoxa. Concepção política. Abstract: What are human rights? What makes them different from other moral, juridical and political considerations? In this essay, the authors bring a literature review of this conceptual question through a comparative analysis of the newly formed dichotomy in the international academy between orthodox and political conceptions of human rights. According to the former, human rights are moral rights possessed by all humans simply in virtue of their shared humanity. To the latter, their nature is best conceived in light of their functions in the international juridical-political order. Parts 1 and 2 present two influential formulations of each view, respectively, James Griffin and John Tasioulas’, and Charles Beitz and Joseph Raz’s. Part 3, on its turn, covers the debate between them, more specifically, the critiques formulated against one another, as well as the merit of the so-called mixed or conciliatory conceptions. Keywords: Human Rights. Concept. Orthodox Conception. Political Conception. Professor Associado IV da Universidade Federal de Minas Gerais. Professor Adjunto III da Pontifícia Universidade Católica de Minas Gerais. Fellow da Fundação Alexander von Humboldt. 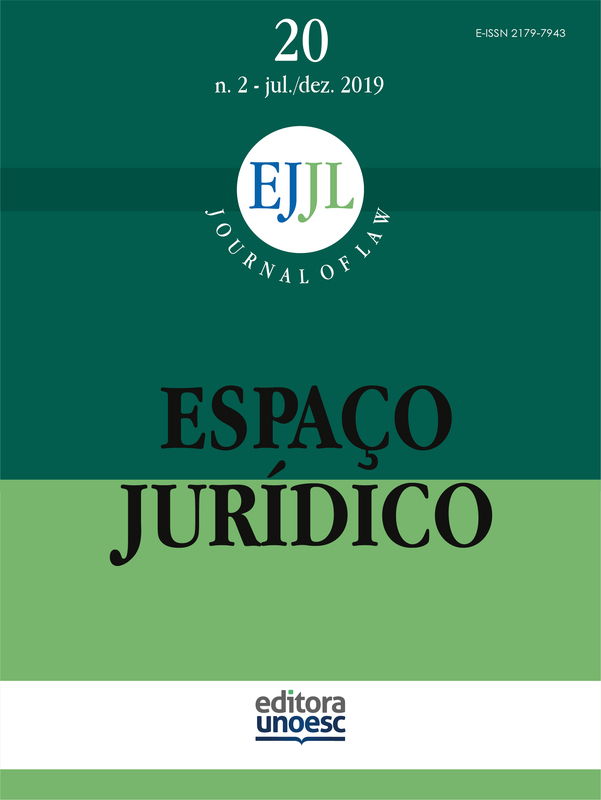 Área de atuação: Filosofia do Direito. Universidade Federal de Minas Gerais, Faculdade de Direito. ASSEMBLEIA GERAL DA ONU. Declaração Universal dos Direitos Humanos. 217 (III) A. Paris, dez. 1948. BARRY, Christian; SOUTHWOOD, Nicholas. What is Special About Human Rights? Ethics & International Affairs, Cambridge, v. 25, n. 3, p. 369-383, Sept./Nov. 2011. BEITZ, Charles. From Practice to Theory. Constellations, New Jersey, v. 20, n. 1, p. 27-37, Mar. 2013. BEITZ, Charles. The Idea of Human Rights. Oxford: Oxford University Press, 2009. BEITZ, Charles. What Human Rights Mean. Daedalus, Cambridge, MA, v. 132, n. 1, p. 36-46, Dec./Mar. 2003. BUCHANAN, Allen. The Egalitarianism of Human Rights. Ethics, Chicago, v. 120, n. 4, p. 679-710, July 2010. DAVIDOVIC, Jovana. A Practical Account of the Concept of Human Rights. In: CAMPBELL, Tom; BOURNE, Kylie (org.). Political and Legal Approaches to Human Rights. London: Routledge, 2017. p. 40-55. DONELLY, Jack. Universal Human Rights in Theory & Practice. 3. ed. New York: Cornell University Press, 2013. DWORKIN, Ronald. Taking Rights Seriously. Cambridge, MA: Harvard University Press, 1978. ETINSON, Adam. On Being Faithful to the “Practice”. In: ETINSON, Adam (org.). Human Rights: Moral or Political? Oxford: Oxford University Press, 2018. p. 160-173. FOLLESDAL, Andreas. Theories of Human Rights: Political or Orthodox - Why it Matters? In: MALIKS, Reidar; SCHAFFER, Johan Karlsson (org.). Moral and Political Conceptions of Human Rights: Implications for Theory and Practice. Cambridge: Cambridge University Press, 2017. p. 77-96. GILABERT, Pablo. Humanist and Political Perspectives on Human Rights. Political Theory, Thousand Oaks, v. 39, n. 4, p. 439-467, May 2011. GRIFFIN, James. Human rights: Questions of aim and approach. Ethics, Chicago, v. 120, n. 4, p. 741-760, July 2010. GRIFFIN, James. Human Rights and the Autonomy of International Law. In: BESSON, Samantha; TASIOULAS, John (org.). The Philosophy of International Law. Oxford: Oxford University Press, 2010. p. 339-355. GRIFFIN, James. Value Judgement: Improving out Ethical Beliefs. Oxford: Oxford University Press, 1996. HAFNER-BURTON, Emilie Marie. International Regimes for Human Rights. Annual Review of Political Science, Palo Alto, v. 15, p. 265-286, June 2014. HESSLER, Kristen. Theory, Politics, and Practice: Methodological Pluralism in the Philosophy of Human Rights. In: MALIKS, Reidar; SCHAFFER, Johan Karlsson (org.). Moral and Political Conceptions of Human Rights: Implications for Theory and Practice. Cambridge: Cambridge University Press, 2017. p. 15-32. LIAO, Matthew S.; ETINSON, Adam. Political and Naturalistic Conceptions of Human Rights: A False Polemic? Journal of Moral Philosophy, Leiden, v. 9, n. 3, p. 327-352, 2012. LIST, Christian; VALENTINI, Laura. The Methodology of Political Theory. In: CAPPELEN, Herman; GENDLER, Tamar Szabó; HAWTHORNE, John (org.). The Oxford Handbook of Philosophical Methodology. Oxford: Oxford University Press, 2016. p. 525-553. MAYR, Erasmus. The Political and Moral Conceptions of Human Rights: a Mixed Account. In: ERNST, Gerhard; HEILINGER, Jan-Christoph (org.). The Philosophy of Human Rights: Contemporary Controversies. Berlin: De Gruyter, 2011. p. 73-104. NICKEL, James. Assigning Functions to Human Rights: Methodological Issues in Human Rights Theory. In: ETINSON, Adam. (org.). Human Rights: Moral or Political? Oxford: Oxford University Press, 2018. p. 145-159. POGGE, Thomas. World Poverty and Human Rights. Cambridge: Polity, 2002. RAZ, Joseph. Human Rights without Foundations. In: BESSON, Samantha; TASIOULAS, John (org.). The Philosophy of International Law. Oxford: Oxford University Press, 2010. p. 321-337. RAZ, Joseph. Human Rights in the Emerging World Order. In: CRUFT, Rowan; LIAO, Matthew S.; RENZO, Massimo (org.) Philosophical Foundations of Human Rights. Oxford: Oxford University Press, 2015. p. 217-232. RAZ, Joseph. On Waldron’s Critique of Raz. In: ETINSON, Adam (org.). Human Rights: Moral or Political? Oxford: Oxford University Press, 2018. p. 139-144. RISSE, Thomas; ROPP, Stephen C.; SIKKINK, Kathryn (org.). The Persistent Power of Human Rights: from Commitment to Compliance. Cambridge: Cambridge University Press, 2013. SANGIOVANNI, Andrea. Beyond the Political-Orthodox Divide: The Broad View. In: ETINSON, Adam (org.). Human Rights: Moral or Political? Oxford: Oxford University Press, 2018. p. 174-199. SCHABER, Peter. Human Rights without Foundations? In: ERNST, Gerhard; HEILINGER, Jan-Christoph (org.). The Philosophy of Human Rights: Contemporary Controversies. Berlin: De Gruyter, 2011. p. 61-72. SCHAFFER, Johan Karlsson. The Point of the Practice of Human Rights: International Concern or Domestic Empowerment? In: MALIKS, Reidar; SCHAFFER, Johan Karlsson (org.). Moral and Political Conceptions of Human Rights: Implications for Theory and Practice. Cambridge: Cambridge University Press, 2017. p. 33-57. SEN, Amartya. Human Rights and the Limits of the Law. Cardozo Law Review, New York, v. 27, n. 6, p. 2913-2927, Apr. 2006. SIMMONS, Beth. Mobilizing Human Rights: International Law in Domestic Politics. Cambridge: Cambridge University Press, 2009. TASIOULAS, John. Are Human Rights Essentially Triggers for Intervention? Philosophy Compass, New Jersey, v. 4, n. 6, p. 938-950, Nov. 2009. TASIOULAS, John. Human Rights, Legitimacy, and International Law. American Journal of Jurisprudence, Notre Dame, v. 58, n. 1, p 1-25, May 2013. TASIOULAS, John. On the Nature of Human Rights. In: ERNST, Gerhard; HEILINGER, Jan-Christoph (org.). The Philosophy of Human Rights: Contemporary Controversies. Berlin: De Gruyter, 2011, p. 17-59. TASIOULAS, John. Towards a Philosophy of Human Rights. Current Legal Problems, London, v. 65, n. 1, p. 1-30, Sept. 2012. VALENTINI, Laura. Human Rights, Freedom, and Political Authority. Political Theory, Thousand Oaks, v. 40, n. 5, p. 573-601, July 2012. VALENTINI, Laura. In What Sense are Human Rights Political? A Preliminary Exploration. Political Studies, New Jersey, v. 60, n. 1, p. 180-194, Nov. 2011. WALDRON, Jeremy. Human Rights: a Critique of the Raz/Rawls Approach. In: ETINSON, Adam (org.). Human Rights: Moral or Political? Oxford: Oxford University Press, 2018. p. 117-138.